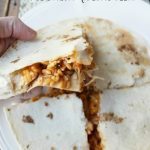 Rice Salsa Quesadilla is a quick lunch or supper for your busy family. 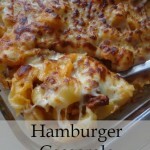 Delicious flavors combine in this filling meal. We are a family that likes to cook to together. With four children (and a hungry husband), I feel I spend the majority of my day in the kitchen baking, cooking and cleaning up after it all! Our kids have watched me in the kitchen from the time they were young so naturally they want to help out. When making Rice Salsa Quesadilla With Chicken for the lunch the other day, I had two helpers more than eager to lend a hand. Being completely truthful, having children help in the kitchen isn’t always easy. Sometimes flour does fly across the room! (Ask me how I know.) However, with the right mindset, the life lessons the children learn while in the kitchen far outweigh any struggles you may have with keeping a clean kitchen. 🙂 Another truthful statement? It is a lot of fun being in the kitchen with my children. 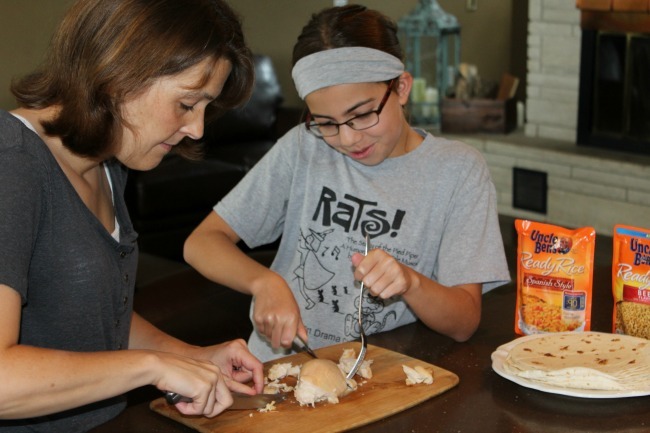 Kids learn independence while in the kitchen. Someday they will need to cook for their family (or for themselves) and teaching them at a young age will set a healthy example for what they will cook their families. They also learn math skills such as fractions and dividing that help them in school. Putting math lessons to hands on learning always helps them understand and retain the information better. You are also teaching your child how to serve others. Baking cookies for a friend or taking a meal to someone in need of encouragement is a great life lesson to teach your child. When they can help make that meal, they find out how serving others brings joy not only to the receiver but to the giver as well. So when I rounded up Cora (10) and Cade (7) to make the Rice Salsa Quesadilla for lunch, they were excited. 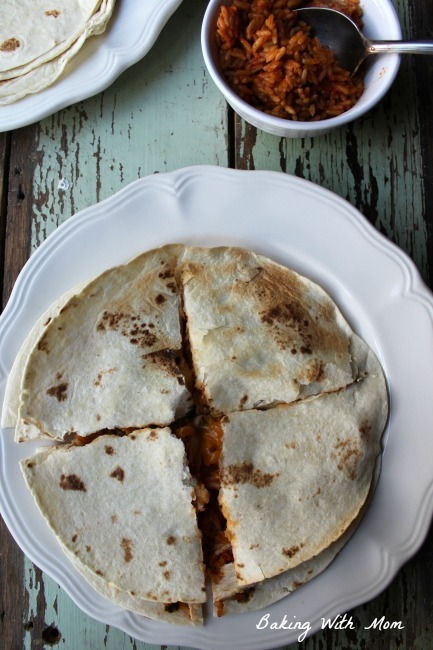 The quesadilla is quite simple to make and I gave everyone an age appropriate job. We used chicken, homemade salsa and Uncle Ben’s Ready Rice. I bought the ingredients at our local Walmart. 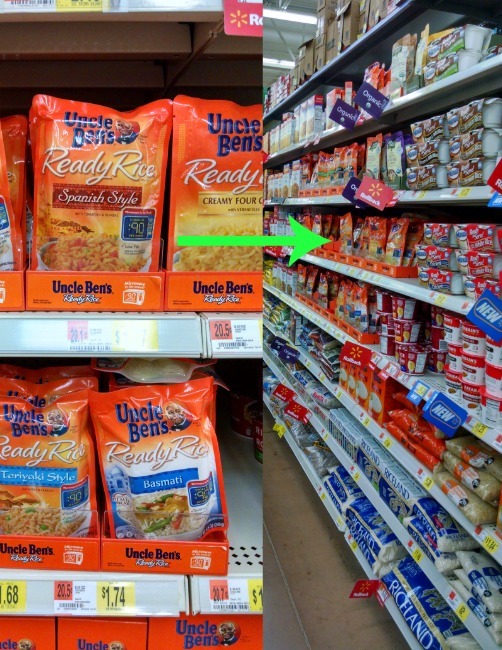 You can find the Uncle Ben’s Ready Rice in the rice and canned soup aisle. 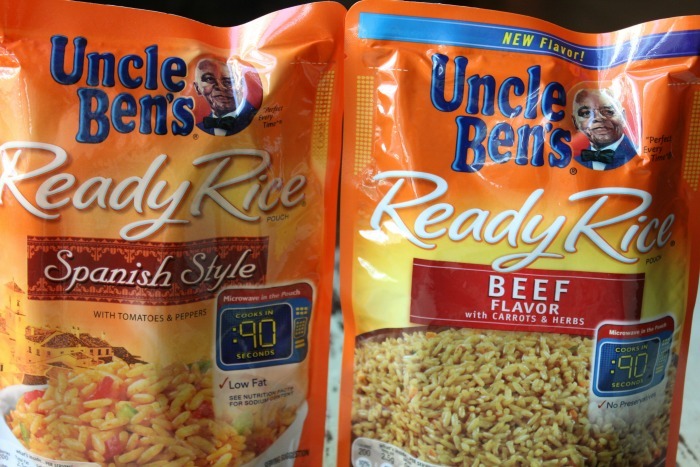 We like Uncle Ben’s Ready Rice because Uncle Ben’s can help you make quick and easy meals with the family even during this busy time of the year when everyone is getting back into a school routine. We bought two bags but used the Ready Rice Spanish Style in our quesadillas! 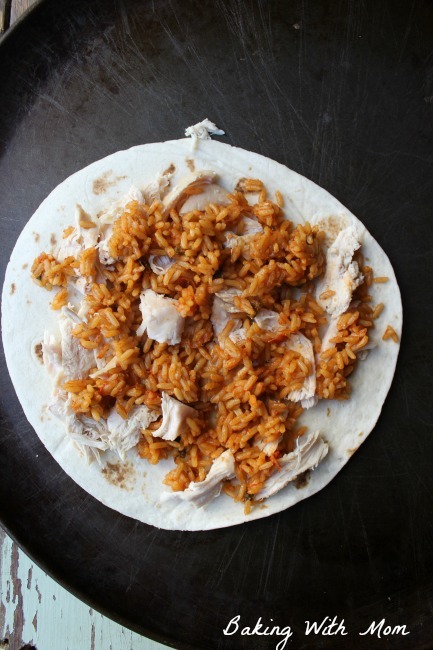 To the make Rice Salsa Quesadilla, Cora helped me cut up already cooked chicken. She’s 10 (almost 11) so this job was age appropriate for her. We then added the Uncle Ben’s Ready Rice Spanish Style to the chicken. Cooking the Ready Rice is so easy! We then added the salsa (we used homemade though any will do) and shredded cheese. Place another flour tortilla on top and bake! 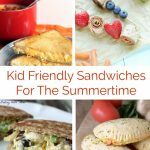 Easy and lunch for your family in minutes! Want to buy your own bag of Ready Rice? Here is a Ibotta coupon for $.75 off Ready Rice at Walmart. 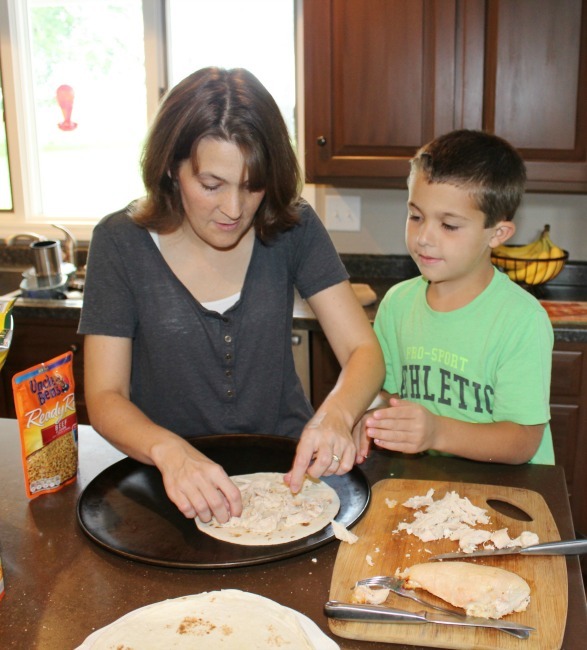 Ben’s Beginners began with a simple ambition – to get kids to cook. We all know the excitement that comes from cooking in the kitchen. Cooking is no different to art, craft, and imaginative play or any other wholesome kids activity. Learning to cook together isn’t just good for you, it’s great fun too. Want to help your kids’ school win money towards a new cafeteria? Check out the Ben’s Beginners program and contest. You can enter for a chance to win! 5 families will win $15,000 for themselves + a $30,000 cafeteria makeover for their kid’s school. So many schools are aging. They have been around for many years and could use updates. Here is a chance to help your local school. Check out more information for the contest here. What a great opportunity! You can also enter to win a Walmart egift card. (Think of all the groceries you could buy!) 🙂 Use one of the selections below to enter to win. 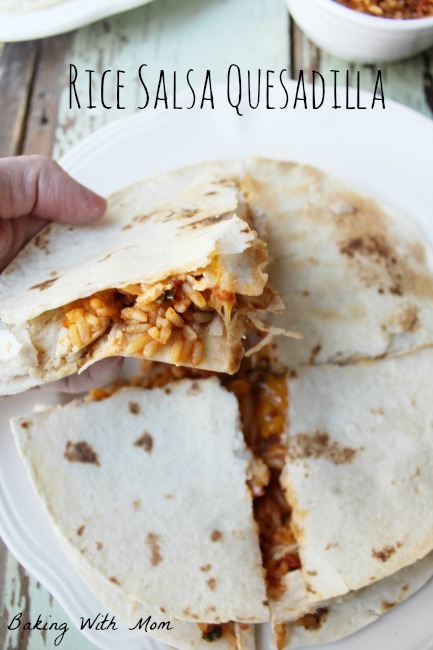 Rice Salsa Quesadilla is a quick lunch or supper your kids can help you make. 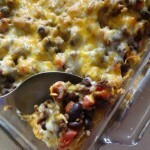 Made with Ready Rice, this recipe will be a family favorite in no time. 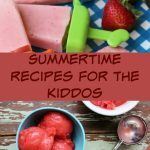 Visit Ben’s Beginners site for great ideas to start cooking with your children. 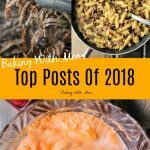 Also, check out more great recipes here!